Last time a Test match was played at Green Park in Kanpur, India won the test against South Africa but because the match was over in 3 days the Kanpur pitch came up for a lot of flak. This match which was being played against Sri Lanka got over in 4 days but no one can really complained about a bad pitch. Not after India amassed a massive 642 runs with their top 6 batsmen scoring 3 centuries and 2 fifties amongst them. The surprise was not really the Indian batting coming good but the changes made to the bowling. These changes did go along way to get India its 100th test victory. India dropped Amit Mishra and Ishant Sharma and included controversy’s favourite child S. Sreesanth along with Pragyan Ojha. Ojha picked up 4 wickets in the whole match which was decent and S.Sreesanth ripped across the Sri Lankan batting line up in the first innings to pick up a five wicket haul. It was a welcome sight to see an Indian fast bowler take five wickets in India condition which is a rarity. Kanpur might have had a spinning wicket but Srilanka lost the plot with picking 3 spinners and only one seamer. Two spinners are more than enough. You only pick three spinners at the cost of a seamer if the pitch has been recently ploughed by a tractor. India won the toss and with no real seam attack to trouble the openers it was not a surprise that India amassed 642. The Brabourne Stadium will be hosting the final Test match in the series and Srilanka will be looking to win in India a test match for the first time ever and level the series. 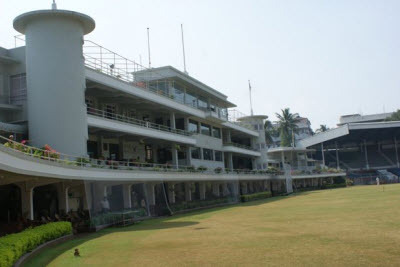 The Brabourne will be hosting a Test match after 36 years. The last match played there was India v England and it ended in a draw. So who do you think will take win in Brabourne? Let me know through your comments.